No changes to the schematic are necessary. 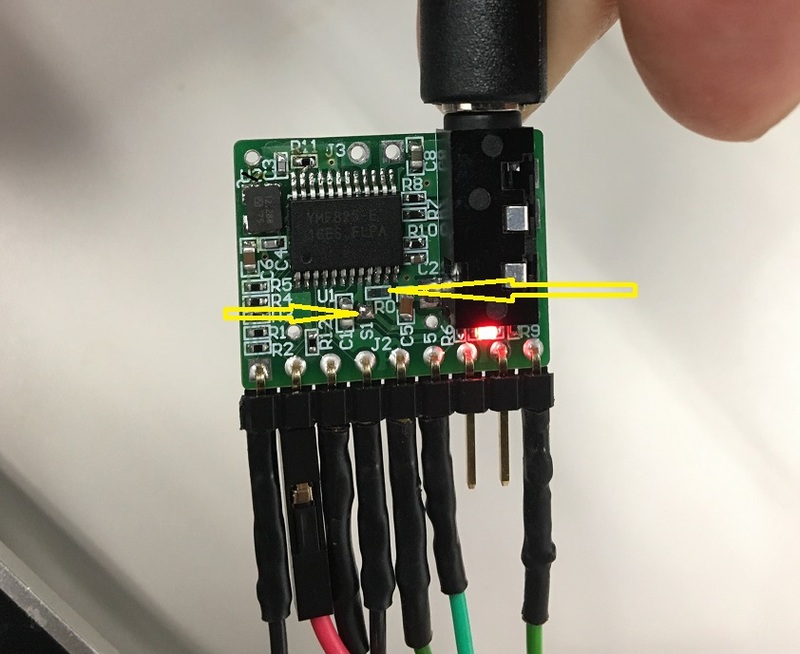 Please connect the power supply to 5 V and GND. The 3.3 V terminal will not be used. 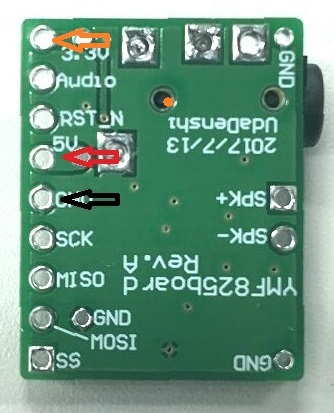 Please connect a power supply to 3.3 V (separately from 5 V). Remove the R0 resistor. Short S1 with solder. 6: RST_N Reset the YMF825. Can be left unconnected because the YMF85 has a power-on reset and a software reset function. 7: AUDIO LINE Output. Refer to the schematic. 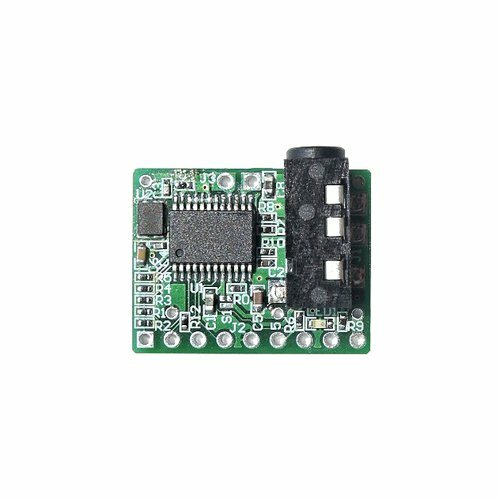 8: 3.3 V 3.3 V power supply input. In the case of the dual power supply.